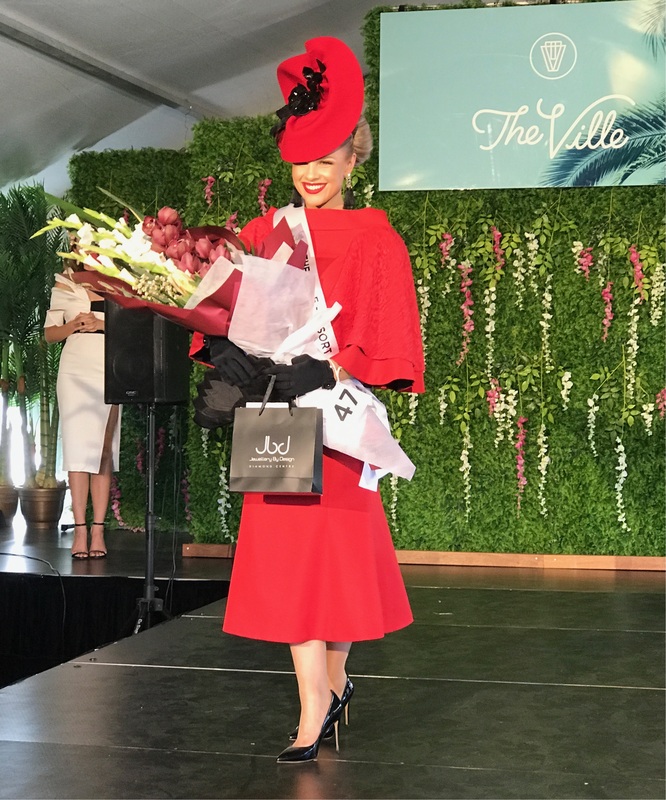 Fashions on the Field – If First you Don’t Succeed to Now Rightfully the Style Queen! Today is the day I would like to send HUGEÂ congratulations toÂ BrittneyÂ Tamou and Kerry McGlone on their knock out outfit that has just taken out the Townsville Fashions on the Field. On the Championships Day 2 at Royal Randwick Longines Queen Elizabeth Stakes Day, Brittney walked onto Randwick Race Course to the sounds of “oohs and ahhhhs”.Â The camera loved her, she was my absolute “STAND OUT” on the day yet when it came to the judges, their choice was far from the tradition of stunning classic race wear. You sit back and wonder what did I miss!Â There must have been an announcement that I never saw that race wear was changing the way it wanted girls to dress for theÂ races.Â While I never want to take away from the winner which was gorgeous, I did sit back and think hmmmm you really have a different take on what I think race wear should be.Â But then I had to eat my own thoughts as I have always said, it is purely the judges on the day on what they like.Â Hence why it is always good to have different judges on various race days.Â For me I am a traditionalist.Â Give me class, glamour and … I am definitely one for “hem lines down, necklines up” sort of gal. So when I got the callÂ “we won”!!! !Â I was of course so excited for Brittney and Kerry but I was also relieved that I was right in my original stance on what was definitely a “knock out” look. WELL!!! !Â What can I say … but again, a huge congratulations for being rightfully acknowledged in an outfit that oozing with style and grace.